Welcome to my Friday Five. Here is to hoping that everyone had a great week and that in welcoming May it means that warmer weather and sunshine are on it's way, I mean it has to be? Right?! As I was taking pictures of things that caught my eye this week I realized I was capturing all this food, either I just love food. . . yes that is it, I just love food - there is no either! I figured I couldn't let it dominate my top moments of the week, but it definitely made a presence! 1| My husband and I consume way too much pizza. There was several months when I first went gluten free that I ate no pizza what so ever, I think my waistline thanked me for that. Slowly I started trying different gluten free pizzas, unfortunately I found a favorite. Lou Malnati's gluten free pizza is so good, it's pretty much regular pizza, none of this cardboard stuff I've had before. And yes, don't judge me, I can eat the whole thing and call it one meal. 2| Walls of tile up in the bathroom, so excited to see the room start to take some shape. No longer are we deconstructing, we're on to reconstructing! 4| This popped up on my Facebook feed and I loved the message. 5| You may think that what you are about to see below is rather insignificant. I assure you it is not. Not only is it green grass, it is my green grass, that has been brown and covered by snow for more months then I am willing to even acknowledge. It actually looks like it needs to be cut, I never thought I would be this excited about the grass needing to be cut! I can assure you I am probably the only one who feels this way, especially seeing as I don't actually do the grass cutting! I hope everyone has a great weekend! I have another weekend of dancing ahead of me, but I do hope to squeeze in some bathroom time. I am ready to complete project tile - let's see if we can make it happen! That pizza looks incredibly delicious!! Congrats on getting the tile up in your bathroom!! Hope you have a great weekend! My hubby found a gluten free pizza crust at a little market near my house and I have been shamelessly eating pizza topped with ground beef once a week now! This winter was so long and harsh. I couldn't believe it when things started to change to green either. That pizza looks delish! I'd never have thought it was gluten free! 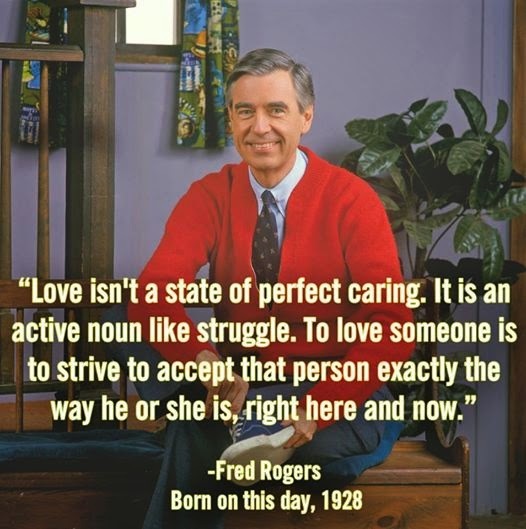 I love Mr. Rogers oh the days ;-) I can eat a whole pizza by myself #noshame Costco is my happy place! Thanks so much for linking up!! That pizza looks amazing!! Happy Friday! Thanks Biana, have a great weekend! That's awesome, I have to say we're eating it about once a week too, but shamefully (well, some weeks more so than others)! Even better, it doesn't taste like it is either! That's why we work out, right?!? Thanks for hosting the link up!